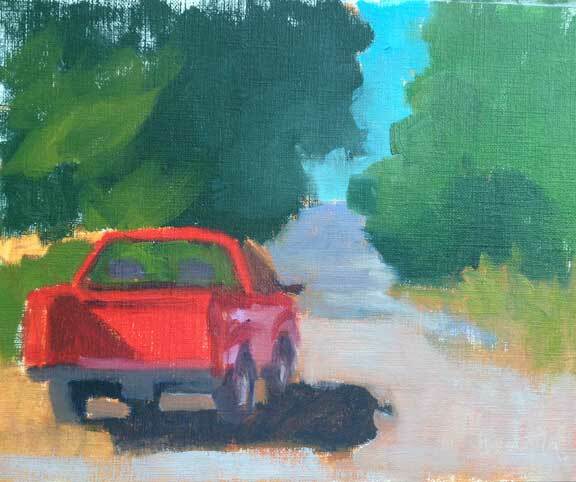 Visiting Castine, Maine, as part of their plein air festival is a real treat. It's a lovely town, with lots of sea captain's houses, a busy waterfront, boats, coves and bays, Maine Maritime, and a lot of natural beauty. This year, I was pleased with the reception of my paintings above, showcasing the Castine Class sailboats, of which there are many at the local yacht club. As I sat and worked on my paintings, people stopped by and gave me all sorts of interesting detail about the history of the boats. They were designed by Mace Eaton, grandfather of Kenny Eaton, who runs Eaton's Marine on the harbor. As you can see, they're quite stylish! Dyce Head Lighthouse is also pretty stylish. This is a view from the ocean side, but it's also very paintable from the street side, and there are usually several painters there every day during the festival. Wadsworth Cove is one of my favorite places at the festival, and I'm not alone in that. There's always a nice breeze in the cove, even if it's hot in town. 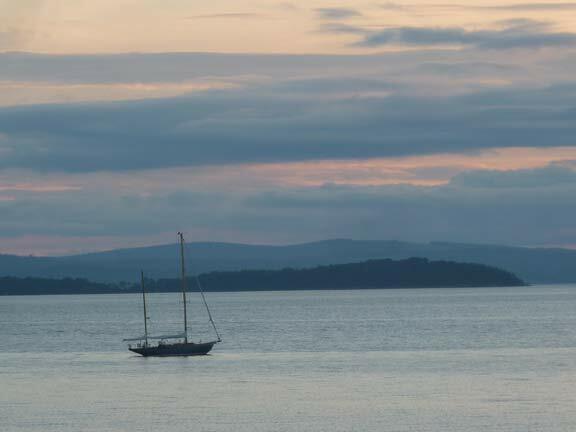 Above is a view of a visiting sailboat, the northern tip of Isleboro, and the western shore seen from the cove. Above is view from a backyard on the cove. Another nice thing about the festival is that the artists are hosted by local families. I've been fortunate enough to stay at the cove both of the last two years. 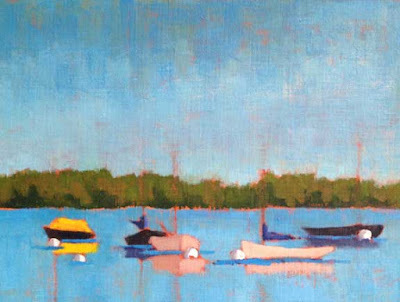 There's a lot to do in Castine in addition to the plein air festival. We enjoyed sea kayaking with a superb teacher from Castine Kayak and a tour of the Maine Maritime training ship, the State of Maine. The rich history of the area can be followed from numerous historical markers, pre-revolutionary war historic sites, and a visit to the town museum. Castine is also home of one of the marvelous Schoodic Sculptures, located on the museum grounds. 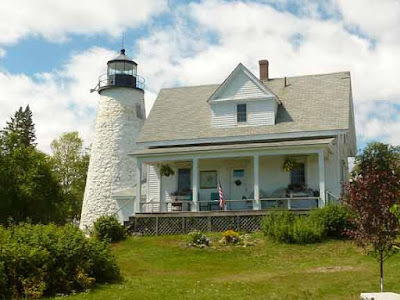 Lodging is a treat with three highly rated and historic inns that serve wonderful food. 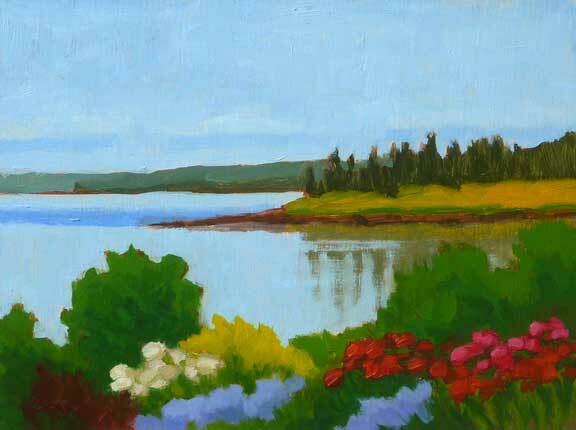 Each year the Castine Plein Air Festival is held Thursday through Saturday of the third weekend in July. With 40 juried artists from the US and Canada turning in 6 paintings each, there is a lovely range of mediums and styles. 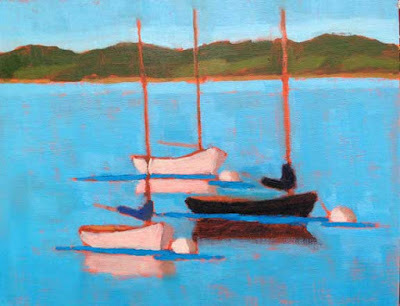 It's a great place to visit for collectors, with several art galleries in addition to the art available at the festival; Adam Gallery, Gallery B, and Lucky Hill, showing the work of Josh Adam, Susan Parish Adam, Dan Graziano, and other local artists. And if you're a painter, this is a festival to consider participating in.